The vibrant capital of South Korea, Seoul has been the major political and cultural centre of the country for some 2,000 years. 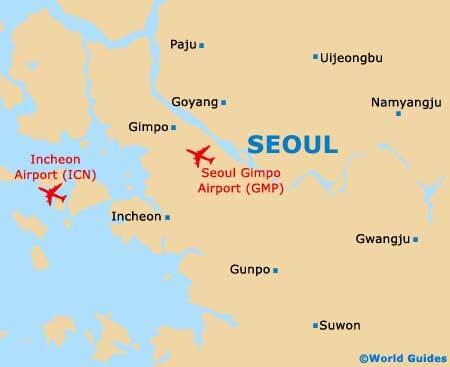 While the area around Seoul dates to the Paleolithic Age, the city didn't come into being until around the year of 20 BC. Nowadays, this vast metropolis is a popular visitor destination for its architectural heritage and UNESCO World Heritage sites, as well as its fascinating history and its position as a hub for touring South Korea. Settlement in the area began in prehistoric times, with small Neolithic communities dotted along the Han River as early as 20,000 years ago. Founded as the capital of Paekche (also spelt Baekje), one of Korea's 'Three Kingdoms', the city of Wiryeseong was located exactly where Seoul now stands, witnessed by remnants of the original city walls to the south-east of the central districts. The period between 300 and 650 AD was characterised by frequent wars between the Three Kingdoms of Paekche, Koguryo (also spelt Goguryeo) and Silla, with Silla finally emerging victorious and unifying the three regions as the Great Silla Dynasty, from 660 AD. 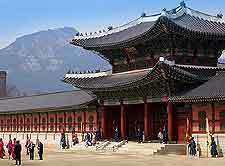 Seoul became the 'Southern Capital' of the Koryo (also spelt Goryeo) Dynasty following the fall of the Silla in the 10th century, and numerous palaces, Buddhist temples and administrative buildings were constructed. 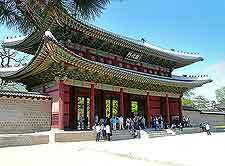 During the era of the Yi (Joseon) Dynasty from 1392 onwards, the city was again the capital, with massive walls protecting its inhabitants from tigers and other wild animals, as well as outlaws and thieves. Yet before long, invasions and war - recurring motifs throughout Korea's history, would again take centre stage. Korea's strategic position between China and Japan led to many attempts at Chinese invasion from the north, a few of which were briefly successful, including a Mongol invasion during the Chinese Yuan Dynasty. By the 16th century, Seoul was under threat by ruling Japanese Daimyo Toyotomi Hideyoshi, who mounted an invasion in 1592, at a time when Korea belonged to Ming China. In his first campaign, Hideyoshi's samurai troops occupied Seoul, planning to invade China, but were driven back by Chinese armies and forces. This was followed by an unsuccessful second campaign, after which they left the city and returned to Japan under a cease-fire agreement. Further minor incursions by the Chinese in 1627 and 1636 damaged the Korean capital. Around 300 years of isolation ended in the late 19th century, with the opening of Korea to foreign influence bringing modernisation, trade with the West, and social and political reform. However, by 1894 the Sino-Japanese War had broken out, resulting in the colonial annexation of the country and its capital by Imperial Japan in 1910. Seoul and Korea were under Japanese control until liberation in 1945. War broke out between the north and south in 1950, escalating into a major conflict involving both Western and Chinese troops, with Seoul changing hands between the opposing sides on four occasions. No-one knows the exact number of casualties from the Korean War, but all sides lost tens of thousands of lives. At the end of the war, the city was devastated and faced a flood of homeless refugees from the then-Communist northern region. Seoul was gradually reconstructed over the following decade and massive industrialisation revitalised its economy. Nowadays, the city is an international hub for commerce, industry and finance, although the constant threat from the north brings frequent reminders of its more recent troubled history.